Facebook Accidentally Hid Phrases Like 'Big Brother Is Watching' in Oculus Touch VR Controllers - WebGamer.NET | The Website for Gamer. "Hi iFixit! We See You!" 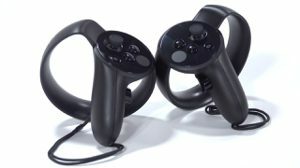 Facebook accidentally added some "easter egg" labels on tens of thousands of Oculus Touch controllers, including such phrases as "Big Brother is Watching" and "This Space For Rent."